For episode 135, Eric Anthony travels through time and tries to navigate the different ages of the comic book medium. This episode was specifically inspired by conversations with fellow podcaster Adam Chapman (Comic Shenanigans), trying to figure out ways to introduce new or older readers into trying out titles or characters they may have never read before. 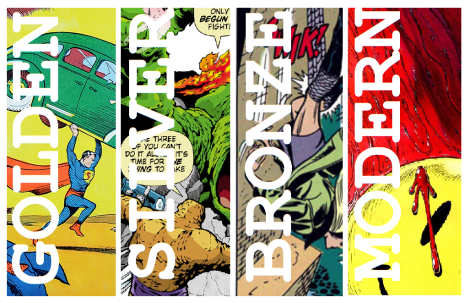 For Part 1, Eric discusses the golden, silver, and bronze ages of comics history.